Hold on to your lightsabers: there&apos;s a new Star Wars game in development, and it&apos;s called Jedi: Fallen Order. The reveal came in a surprisingly low-key fashion during EA&apos;s conference at E3 2018, during an off-the-cuff interview with Vince Zambella, co-founder of Respawn Entertainment (of Titanfall fame). And we&apos;ve now been treated to a teaser trailer, which you can see below. This isn&apos;t actual gameplay, but it gives you a flavor of the story. Players take on the role of Jedi-in-hiding Cal Kestis, EA and Respawn Entertainment revealed at the Star Wars Celebration event in Chicago. While fans of the galactic franchise have seen official tie-ins in the form of Star Wars Battlefront I and II, the new entry takes on a different tack, focusing on a single-player experience more in line with 2008&apos;s The Force Unleashed – and we have all the concrete news and wild speculation you could want below. Star Wars Battlefront I and II were both released on November 17, in 2015 and 2017 respectively, so it&apos;s likely Fallen Order will fall on the same date (or in November anyway). Given the two-year windows between each game, though, this may mean a third Battlefront game is a long way off. At the time of writing, we have a teaser trailer, which we&apos;ve posted above. It doesn&apos;t show any actual gameplay, but it fills in the story, and it&apos;s better than nothing. Keep checking the official Star Wars Jedi: Fallen Order webpage from EA for more. We already know that on April 13 we got our first proper look at Respawn Entertainment&apos;s Star Wars Jedi: Fallen Order, as part of the annual Star Wars Celebration event in Chicago. But luckily for fans that couldn&apos;t make the trek to the event, EA livestreamed it. The galaxy-wide premiere will see the head of Respawn Entertainment, Vince Zampella, and game director, Stig Asmussen, revealing the much-anticipated details of Star Wars Jedi: Fallen Order – with the event&apos;s description promising "a few surprises in store". "In addition to Apex Legends, another team at Respawn is set to deliver Star Wars Jedi: Fallen Order this fall," EA CEO Andrew Wilson revealed during a quarterly earnings call (via Seeking Alpha). "This game&apos;s development is led by the former director of the God of War series, with a team of veterans from some of the industry&apos;s biggest action-adventure games. "It’s very far along in development, and having spent time with it recently myself, it plays spectacularly well," EA CEO Andrew Wilson revealed during a quarterly earnings call (via Seeking Alpha). "This game truly captures the fantasy of becoming a Jedi, and we will have a lot more to share soon." 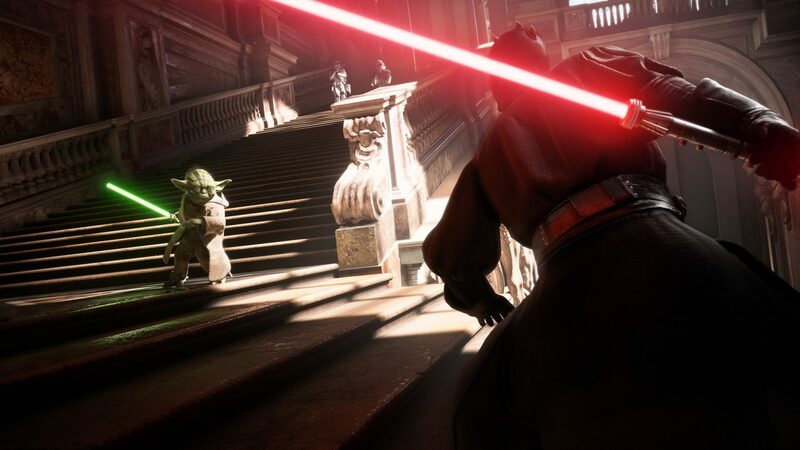 "You&apos;ll start to see in the next few months glimpses of the Star Wars game and I think you&apos;ll be blown away by what you see," said EA CFO Blake Jorgensen during a quarterly earnings call (via Seeking Alpha). "We&apos;ve played 20 plus minutes of it last week and it is exceptional in terms of its like level of polish depth and what living inside of the Star Wars world is a Jedi and I think people will be blown away by." According to rumored information from a Star Wars marketing day (which obviously made its way to Reddit) the story will take place roughly five years after Revenge of the Sith and will follow surviving Padawan Cal (via GamesRadar). This rumor also states that one of the game&apos;s main plot points will revolve around Cal&apos;s mentor figure – a woman named Ceres. Both these names are now confirmed. We don&apos;t know the specific time in which the game is set, but we&apos;ve heard that it will take place at some point between Episodes 3 and 4, after the end of Revenge of the Sith but before Luke Skywalker&apos;s appearance in A New Hope. This places it after the Galactic Empire hunted the 10,000-strong Jedi Order practically to extinction, leaving only a small fraction of Jedi alive (aka Order 66). With the promise that the game will be set &apos;in the dark times&apos;, it sounds like our Jedi protagonist may be more the hunted than the hunter. EA&apos;s official webpage for Fallen Order specifies you&apos;ll play "a surviving Padawan", technically meaning a Jedi apprentice rather than a fully-fledged master of the Force. Given the dearth of living mentors left to train you, it&apos;s possible Obi-Wan Kenobi or Yoda – or some less high-profile Jedi, like Quinlan Vos – will appear in a supporting role. Respawn co-founder Vince Zambella tweeted about the upcoming game, describing it as an &apos;SP&apos; (single-player) story. It looks like a multiplayer component won&apos;t be available at all in the game. 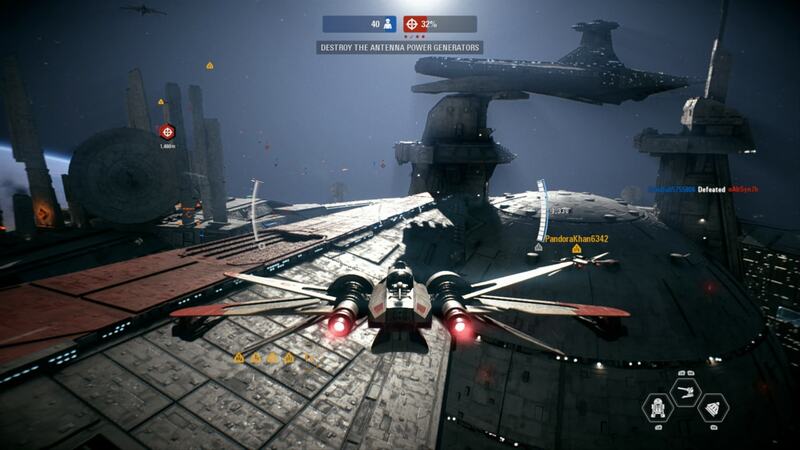 It&apos;s been a bit of a fallow year for Star Wars, with Star Wars: A Solo Story struggling in cinemas and the negative player response to EA Dice&apos;s Star Wars: Battlefront 2 – largely in reaction to its prevalent use of microtransactions – still in recent memory. Jedi: Fallen Order has been handed to a different studio, albeit one that&apos;s still a subsidiary of EA. But Respawn has garnered a lot of respect as the studio behind Titanfall and Titanfall 2, two critically acclaimed sci-fi action games that pit players against each other in giant mechanized suits, and which both came with strong single-player and multiplayer offerings. So, while we haven&apos;t heard much about Fallen Order so far, it looks like the game is in safe hands.